On Tuesday, Giants broadcaster Mike Krukow joined Murph and Mac to talk about the Orange & Black’s offseason so far and potential moves for the future. When asked about trade talks between the Giants and Milwaukee Brewers for Madison Bumgarner, as reported by Jon Morosi, Krukow had an interesting take on a possible factor for this deal going down. However, if The Shark is showing signs of shoulder fatigue and possible injury, Krukow says that a Bumgarner trade is not out of the question. 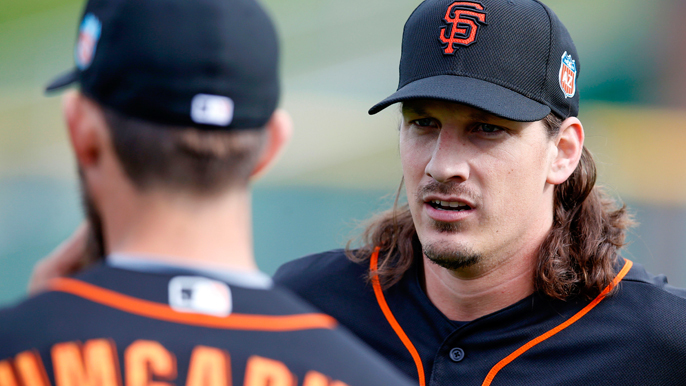 Apart from last year, where he was shut down with shoulder troubles, Samardzija has been a horse for the Giants in his time in San Francisco. In 2016 and 2017, he pitched 203.1 and 207.2 innings respectively, the latter being good for 3rd in the Major League. That being said, he wouldn’t be shocked by any move the Giants make this offseason. A takeaway for Giants fans? Expect the unexpected. Listen to the full interview below. To hear Krukow on Samardzija start from 5:22.